I know of no type of dog which evokes a greater feeling of affection from the public than the long-coated goat- or harsh-haired sheep-herding dogs found all over Europe. Perhaps this is because they exude an air of sheer lovableness or possibly because they look so mutt-like and lack any look of high breeding or pretension towards aristocratic airs. But whatever the reason it is fair to say, I believe, that everybody loves a "beardie". The group is represented in most areas of Europe: the Cao da Serra de Aires from Portugal, the Briard from France, the Pyrenean sheepdog, the Bergama sheepdog of Italy, the Gos d'Atura of Catalonia, the German Sheep poodle, the lowland sheepdog of Poland, the south Russian Owtcharka, the Schapenpoes of Holland and, from the British Isles, the Bearded Collie, the Old English and Smithfield sheepdogs. If you compare this distribution with the big flock-guardians of the high pastures like the Maremma, the Estrela mountain dog, the Kuvasz, the Tibetan "mastiff" and the Anatolian shepherd dog then with the various types of Dutch and Belgian shepherd dogs, the Border collie, the Beauceron, the Algerian sheepdog, Berger de Picardie, the rough and smooth collies and the now extinct Welsh hillman, you can soon see how climate, function and terrain determined type. 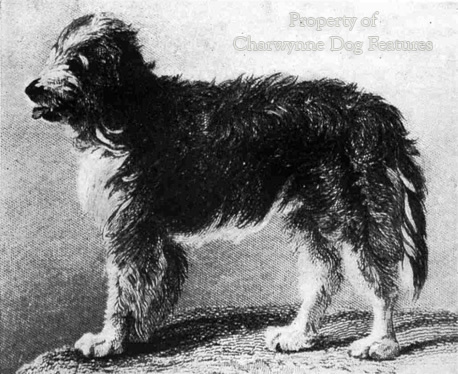 It is not unusual for varieties of coat to occur within the same breed-type, as the Portuguese water dog ( with its long and curly versions ), the Weimaraner ( with its long and smooth coated varieties ), the German pointer ( with its long, wire, smooth and bristle-haired versions ), the St. Bernard ( with its smooth and rough-coated varieties ), the Ibizan hound ( wire and smooth ), the short and rough-haired Italian segugios, the fox terrier and the Vizsla indicate. Throughout Europe, in Holland, Germany, Britain and France for example, there are long-haired, rough-haired and smooth-haired varieties of native herding dogs. Against that background therefore, I don't believe there is really any need to seek an origin for, say, the bearded collie in dogs off a Polish ship in the 16th century or any other foreign ancestry. If you want a long-haired sheepdog, breed one selectively from the longer-coated specimens of sheepdog stock! The international distribution of dogs that herd sheep, long-haired, rough-coated or smooth, demonstrates that the differing coat-lengths occur naturally and have been perpetuated and enhanced by line-breeding down the centuries to stabilise one particular coat. In time a desired coat length can be fixed and the various breeds, or varieties within a breed, evolved. Not surprisingly, coat lengths can be linked with specific needs in particular areas and developed with other breed characteristics. With pedigree dog-breeding being only just over a century old it is easy to overlook the fact that breed-types evolved in many cases over more than five centuries. In some areas where prolonged windchill exposure was met, felted coats like those of the Komondor and the Puli were needed. But the coat texture and length produced was originally always in pursuit of a purpose and never appearance. 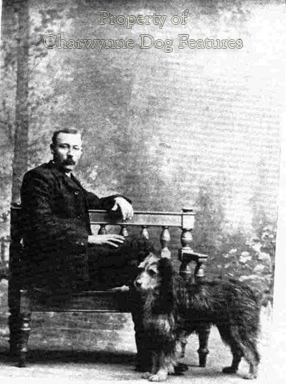 The herding breeds were developed by essentially practical men, in eternal combat against the elements and wild predators, men who quickly discarded weedy or faulty dogs. 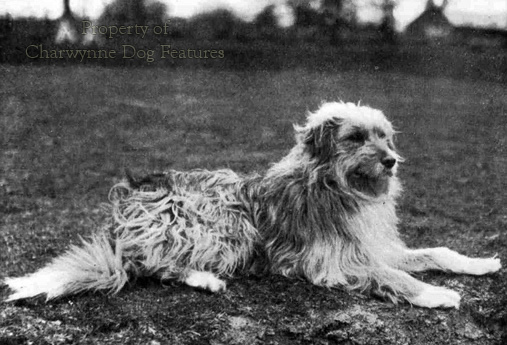 I know of no old print or early photograph or painting which depicts the longer-haired herding breeds with the excessive length of coat displayed by many of their successor breeds in today's showrings. Too heavy or too long a coat is a needless handicap to a working breed not traditionally requiring to feature such a characteristic. Earlier this century Mr. H.A. 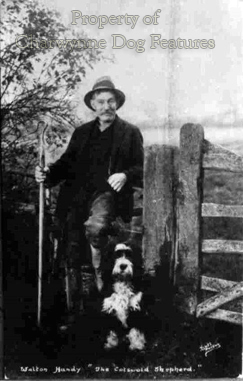 Titley, who contributed so much to the development of the Old English sheepdog, wrote: "During recent years there has been an increasing tendency to over-development of the coat and especially for show purposes, but it is an adverse handicap for 'working' dogs which are exposed to all weathers, mud, and dusty roads." Forty years or so ago James Garrow wrote to Mrs. G.O. 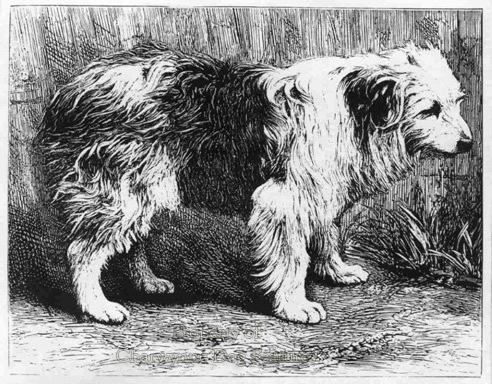 Willison, who launched the show career of the bearded collie : "The Beardie was essentially a worker, famed for fleetness and brains, kept by butchers, farmers, etc...The coat should not be overlong and of a raw harsh texture...Have you drawn up the standard for the K.C. yet? You want to emphasise the rule on coat." Most of the beardies I see in the show ring nowadays display such a length of silky coat as to obscure the natural lines of the dog's body, which is contrary to the breed standard. The standard of the Old English sheepdog places no restriction on the length of coat at all. I can find no evidence nor any credibility in the stories that the longer-haired herding dogs all originated in one country and spread out from there. I believe it is likely that the herding dogs brought south by the migrating Indo-Europeans two thousand years before Christ had the prototypal dogs and since then they have gradually evolved into the types and with the physical features demanded by location, function and local preferences. In Britain bearded collies have been interbred with the Old English type and the working sheepdogs of the border collie type for centuries. This is not to say of course that in some areas a definite type was not preferred and kept distinct. The movement of tribes and groups of people over Europe in the last two thousand years, especially in the first millenium A.D., has led to the various modern breeds as we know them today emerging in certain areas. Of course sheep-herding dogs quite often went with flocks of sheep when these changed hands and, sometimes, countries too. It is, in my view, quite absurd to claim that the different herding breeds, especially when they occur in the same country, are completely unrelated. It is entirely fair however to state that line-breeding for distinct 'type' has been practised for several hundred years in a number of areas. This has led some to claim that Peebleshire is the true home of the beardie, Dorset the real home of the bobtail, The Lake District the original base for the border collie and Snowdonia the home of the old Welsh grey. But beardies have long been favoured in north-west England and, being utilised by drovers, could be found wherever there was a vibrant sheep trade; the Smithfield sheepdog, the bigger beardie, being associated with the sheep market towns and areas of eastern England. There were differences between the longer-haired sheepdogs found in the Highlands and those working in the border regions. Beardies work in a different style from that of their shorter-haired fellow working sheepdogs; they are not silent or "strong-eyed" but excel at collecting and then retaining sheep in big groups. This capability made them most useful to drovers and butchers. I understand that in the early days of trying to breed pure beardies it was not unusual to find a couple of pups in a litter looking more like border collies. The early registrations of sheepdogs with the International Sheepdog Society listed rough, smooth and bearded types but farmers often interbred dogs with different coats and ear-carriage. The bobtail was also used as a drovers' dog; I can remember an old grazier on Salisbury Plain thirty years ago telling me how the instinctive skills of the bobtails varied: some preferring to lead the sheep, others to drive them as a flock and some to guard a flank. This behaviour occurred in young untrained dogs. Other bobtailed dogs, somewhat smaller than ours, are the berger des Pyrenees, the Gos D'Atura of Catalonia and the Polski owcaarek nizinny or Polish lowland sheepdog, although some specimens in these breeds which are born with tails can be seen undocked. The Cao da Serra de Aires from Portugal, known as the "monkey dog " from its heavy eyebrows, beard and moustache and the goat-haired Pastore Bergamasco or Bergamese sheepdog both feature the full tail, the latter breed carrying it gaily when working. This Portuguese dog, the Schapendoes of Holland and our own bearded collie are astonishingly similar in appearance, a significant fact if one day gene pools need enlarging. I understand that every bearded collie registered in the world can be traced back to just twelve dogs, a small genetic base. This fine breed will need wise breeders if it is to retain its characteristics, robustness and virility. Already in Canada I've seen the breed described as having set a record for "the breed ruined in the shortest possible time". It is surely vital to breed every ancient breed true to its heritage rather than for those who see only cosmetic appeal. The beardie should be a medium-sized dog not a rival to the old English sheepdog. The beardie should be long-backed and its eyes should be visible not concealed. I like the phrase used in the outline description of the breed in "Our Dogs" of December 17th, 1898: "The face should have a sharp,inquiring expression". Facial expressions can tell you a lot about dogs as well as people! Soppy-eyed dogs shouldn't be tolerated in a working breed and neither should excessively-heavy coats. Cumbrian sheep farmer Malcolm Ewart of Barkbeth Farm near Bassenthwaite Lake works beardies on grazing stints on Skiddaw of around 3,000 feet. He has a waiting list for his pups, so highly are his dogs rated as workers. 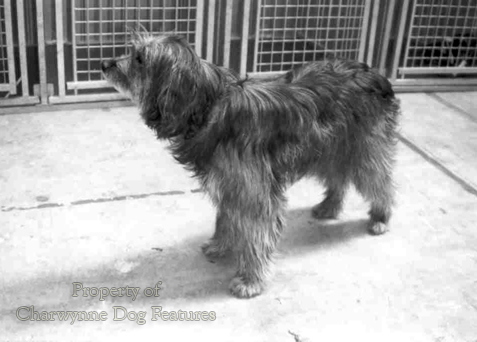 But his dogs do not feature the length of coat seen on show ring specimens in the breed. Show breeders may not want their dogs to work on Skiddaw but if they are true bearded collies they should be physically able to do so . We should value the herding breeds for their unique service to man and respect their historical role and form by breeding dogs still able to carry out their original function--even if never required to do so. The longer-haired herding breeds have coats which can mask a score of faults and judges of these breeds have a more difficult task. Unsound movement is less easily screened from someone with an eye for dogs, being probably the worst fault in a working breed and such breeds demand more practised, more widely experienced and enlightened judges than the ornamental breeds. This particular group of herding dogs readily arouse our affection; it is even more important that they are afforded our respect, respect for their true type and correct conformation. Writing on the dog in the 18th century, Oliver Goldsmith used these words: "...to man he looks in all his necessities with a speaking eye for assistance; exerts for him all the little service in his power with cheerfulness and pleasure; for him bears famine and fatigue with patience and resignation." He could have been writing about the herding breeds; their "little service in our power" should be reciprocated and their best interests served.